Tools designed to work between crop rows can dig moderately deeply (typically 5 to 10 cm) without harming the crop. Consequently, complete destruction of even large weeds is often possible during inter-row cultivation. However, unless precautions are taken, vigorous soil movement can bury young crop plants, and deep digging can damage the roots of larger crops. To avoid crop damage, these tools usually work only 50% to 70% of the soil surface, leaving weeds in the crop row unharmed. However, Melander & Hartvig (1997) have shown that safe cultivation within 2.5 cm of the row is possible if the crop is small and protected with shields and a good cultivator guidance system. At later stages of crop growth, sweeps may be used to hill-up soil in the crop row to bury small weed seedlings. Sweeps and shovels are the most commonly used cultivation tools. They are simple and durable. They vary greatly in width, shape, and pitch (Figure 4.11). Generally, soil movement away from the shank increases with width and pitch, and decreases as the angle between the leading edges increases. "Goosefoot" style shovels (Figure 4.11c) move less soil than standard shovels and sweeps (Figure 4.11b, e). S-shaped (Danish) shanks vibrate more, which brings weeds to the surface and helps shake soil loose from weed roots, but they are less robust than C-shaped shanks. Multiple shanks provide flexibility. For example, Mohler, Frisch & Mt. Pleasant (1997) used 2.5 cm spikes (Figure 4.11d, top) nearest the row when maize was young to reduce soil movement toward the row, but changed to 10 cm sweeps to throw soil into the row at the last cultivation. However, minimum-tillage cultivators designed to operate in high crop residue usually have one shank with a single broad sweep per inter-row. This design presents less metal at the ground level to snag debris. Also, these cultivators have a coulter in front of each shank to cut residue so it can flow past the shank. 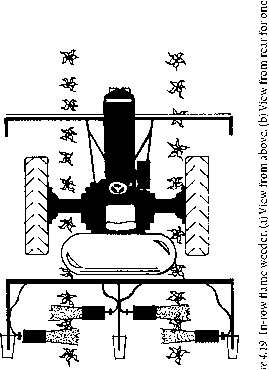 In minimum-tillage machines, hilling up around the crop is accomplished with wing attachments that increase the lateral displacement of soil, or with disk hillers (see below). Figure 4.11 (a) One gang of a parallel gang sweep cultivator equipped with disk hillers. (b) Cultivating shovels. (c) Goosefoot shovels. (d) Reversible-point shovels. (e) Sweeps. and the amount of soil movement. Depending on the setting of the gangs, soil flow is strictly toward or away from the row. Rolling cultivators dig out large weeds less effectively than shovel-type cultivators, but they work the surface soil more thoroughly. Because soil flow is strictly in one direction, and because the gangs can be tilted to work very shallowly next to the crop row, rolling cultivators can safely cultivate closer to the crop than can shovel cultivators. Mt. Pleasant, Burt & Frisch (1994) found higher weed cover in maize following rolling cultivation than following shovel cultivation. Mohler, Frisch & Mt. 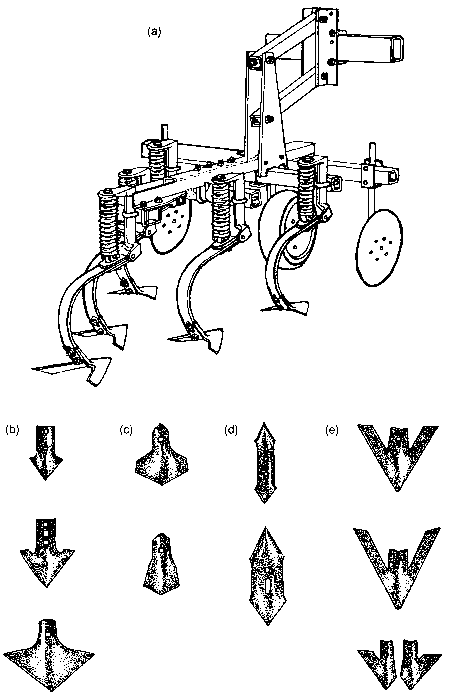 Pleasant (1997) found that the relative effectiveness of a shovel cultivator and a rolling cultivator equipped with inter-row sweeps varied between years. Rotary tillers for cultivation consist of gangs of power-take-off driven rotating curved or L-shaped tines that chop up weeds and mix them into the soil. They are the best tools currently available for strip tillage in cover crops and living mulches prior to planting. Their principal advantages in cultivation are that they completely incorporate all above-ground weed tissues, and probably chop roots and rhizomes to smaller fragments than other implements. Nevertheless, they can cause deterioration of soil structure by excessive pulverization. 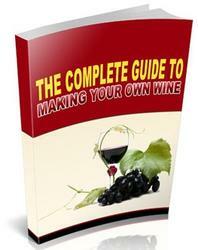 What goosefoot sweep to use?